Mahindra Lifespaces, a wing of the Mahindra group, has become a renowned name in the real estate market specializing in providing healthy living spaces with focus on quality and complete satisfaction of its clients. The group’s success can be easily measured by the large number of satisfied clients it has served with its high-end projects. The company’s motto is to develop sustainable real estate and offer voluminous living spaces. Mahindra Lifespaces has been associated with the development of some of the best residential and commercial projects in Delhi and the NCR as well as other states. 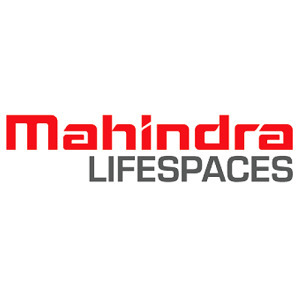 Mahindra Lifespace Developers Ltd is an integral part of the Mahindra group who enjoy market loyalty in agriculture, aerospace, consulting services, defense, energy, financial services, real estate, retail, logistics and steel. Mahindra Lifespaces’ vision is to become a major player in the real estate market along with creating higher standards in sustainable development. The group has made it a mission to transform landscapes into sustainable communities. The foundation of the company is on values of quality, professionalism, corporate citizenship and dignity. Under the guidance of its Chairman Mr. Arun Nanda, the group has been able to deliver high-quality living solutions to its clients while being environmentally responsible. Mahindra Lifespaces also takes its corporate social responsibility seriously and has set up another wing to address the same. Through the Mahindra CSR Council formed in 2006, the Mahindra Group makes it contribution to various social causes including skill training, educating the underprivileged, donation to a variety of causes and also runs many employment training programs.